WEDOTECH was recently accredited to provide services under the Vale “CIRCULAR ECONOMY” of Portugal 2020.
for different sectors: agrifood industry, chemical industry, water and waste sector, and others. Experts on Odour Treatment and Control. WeDoTech commercialises sustainable solutions for odour treatment and control. WeDoTech develops taylor made solutions. The workshop on Fishery Products Waste was co-organized by WEDOTECH, ISEP and IPL. 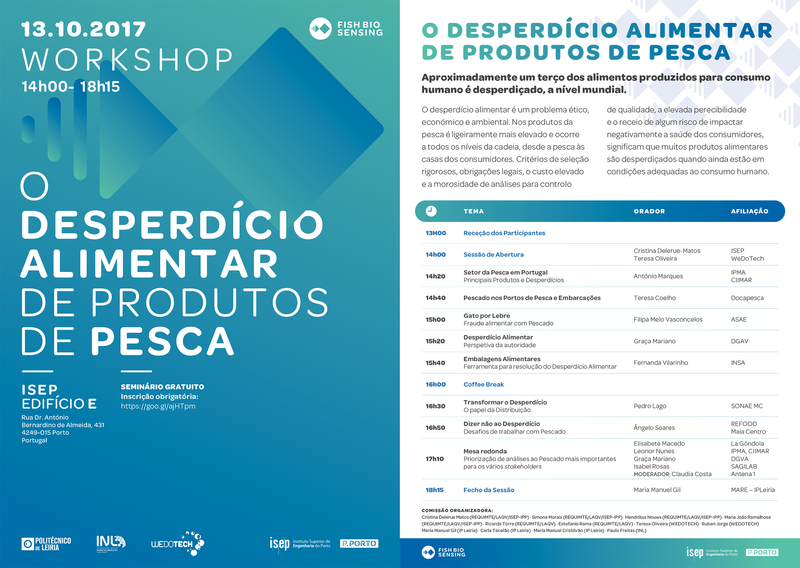 It happened on 13 October 2017 and included lectures by stakeholders in the fishery products supply chain: IPMA, Docapesca, ASAE, DGAV, INSA, SONAE MC, REFOOD, La Gondola and SAGILAB. It was an excellent opportunity to discuss food waste and analysis waste and required actions to minimise those wastes.